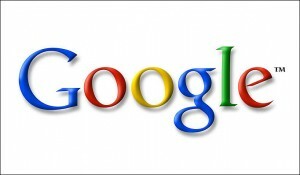 Google Inc (GOOG): Can Samsung Electronics Co., Ltd. (005930) Create the Web Browser of the Future? In the world of smartphones, Samsung Electronics Co., Ltd. (KRX:005930)‘s Android phones dominate the market. But instead of a close-knit team that’s sweeping the mobile world, Google Inc (NASDAQ:GOOG) and Samsung Electronics Co., Ltd. (KRX:005930) look more like two competitors handcuffed together by mutual interests. Samsung Electronics Co., Ltd. (KRX:005930) has expressed interest in leaving the Android party in the past, and a new partnership with Mozilla may be the key to making that transition a reality. Earlier this month, Firefox creator Mozilla announced on its blog that it’s teaming up with Samsung Electronics Co., Ltd. (KRX:005930) to create a new mobile browser engine built specifically for hardware found in most mobile devices today. The browser engine is built on a coding language called Rust that Mozilla says is safer and is less prone to crashes than current browser engines. Samsung Electronics Co., Ltd. (KRX:005930)’s partnership with Mozilla gives the company influence and access over a new way of mobile surfing. So why’s this an important move for Samsung Electronics Co., Ltd. (KRX:005930)? Sammy is extremely dependent on Android for its mobile browser and OS platform, and it’s looking to make a move away from Google Inc (NASDAQ:GOOG)’s mobile darling. In its launch of the Galaxy S4, Samsung hardly mentioned that the phone runs on Android, probably a purposeful omission. Samsung has been developing its own operating system, called Tizen, and will launch a few phones with the OS in regional markets later this year. Tizen isn’t close to replacing Android any time soon, but it’s a way for Samsung to test new ways to break free from Google Inc (NASDAQ:GOOG). The partnership with Mozilla is yet another way to do that. If Samsung can move away from Google Inc (NASDAQ:GOOG)’s Android OS and Chrome browser, then it will grab more control over its users’ smartphone experience. Aside from browsers, Mozilla is also developing its own mobile operating system to compete with Android. If Samsung and Mozilla can work well together on a browser, then teaming up for a future mobile OS may be the next step. It’s still unclear what exactly will come about from the Mozilla/Samsung partnership, if anything. For now, it’s yet anther indication that Samsung would like more control over its phones and the OS they run on. Google Inc (NASDAQ:GOOG), on the other hand, should be at least a little concerned with Samsung’s desire to ditch the green droid, considering Sammy is estimated to hold about 30% of the global smartphone market. Although companies don’t pay to use Android, Google Inc (NASDAQ:GOOG) makes money from the OS through search advertising and the Google Play store. Apple Inc. (AAPL), Intel Corporation (INTC) And Three of the Cheapest Tech... Google Inc (GOOG) Fiber Puts More Pressure on Cable Apple Inc. (AAPL) iTV: The Absurdity Continues Apple Inc. (AAPL), Wal-Mart Stores, Inc. (WMT), and Why You Pay 235 Times More... Apple Inc. (AAPL): A 4-Wheeled iPhone Due in 2014? Apple Inc. (AAPL) Losing Power On the Market, But Also Off It?